We’ve been doing preschool at home with fun hands-on learning activities like the ones in our toy cars learning activities. 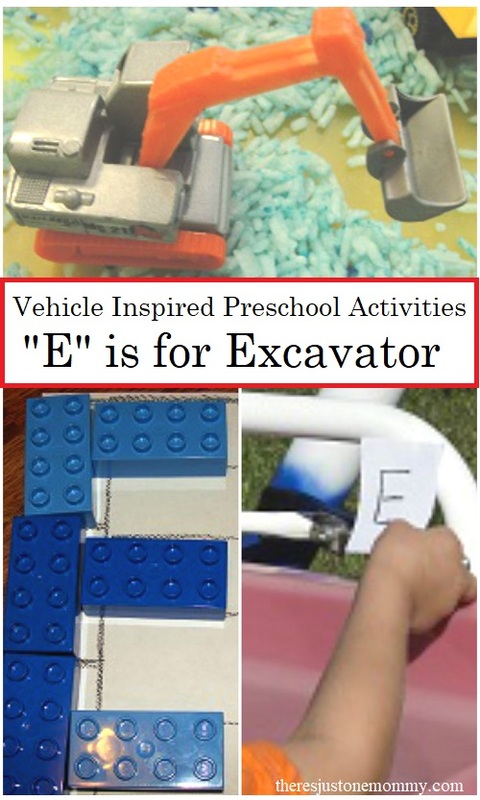 Today we are ready to dig up some fun with preschool alphabet activities inspired by “E” is for excavator. 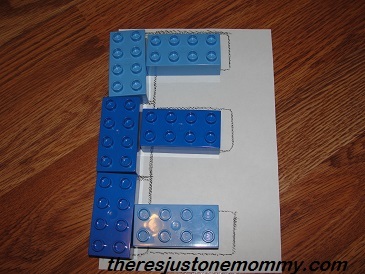 Then we went on to a simple DIY puzzle for the letter E.
This was a huge hit with my preschooler, and he went back to his puzzle several times throughout the day. After that it was time for a scavenger hunt! This is super simple to set up and so much fun. 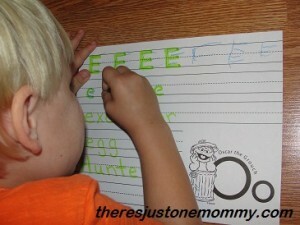 Simply write the letters on squares of paper and hide them for your child to find. You can easily adjust this to fit your child’s needs. 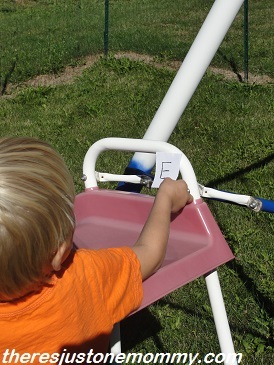 We focused on just upper and lower case letter E, but you could challenge your child further by adding additional letters and asking them to find certain ones. Our hunt ended at the sandbox, where our next activity was set up. I had buried some “treasures” earlier. 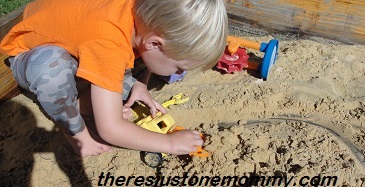 With a shovel I drew a circle around the “construction zone.” He used one of the sandbox trucks to dig (just like an excavator) within this area. 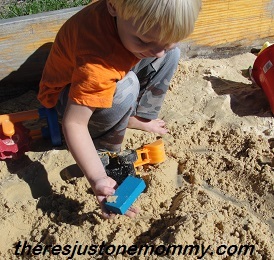 He was super excited when he realized there were things buried in the sand! As he found the buried pieces, we put them in a pile for our next activity. After a little fun in the sandbox, we took our found objects inside to sort by shapes. 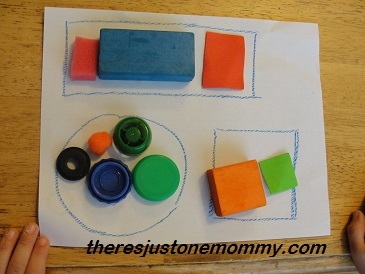 We worked on rectangles, circles, and squares. But, you could incorporate other shapes as well. We have been having so much fun with our preschool alphabet activities with toy vehicles. Next up? Firetrucks! I love this idea. My son is actually doing the letter E this week at school so I will probably be using some of your ideas! Thanks for linking up to the Friday Follow Along. Hope he enjoys them as much as we did! Looks like a great lesson! Thank you for sharing at Sharing Saturday!! Seriously I’m loving that you’re doing it in the form of cars! SO fun and creative! Thanks for linkin up to Sunday FUNday! Thank you! Every day my son asks me what vehicle we’re doing next!